2013 has opened new doors for me in the world of blogging and working as a freelancer. I have became active in my social media life and really have learned a lot. 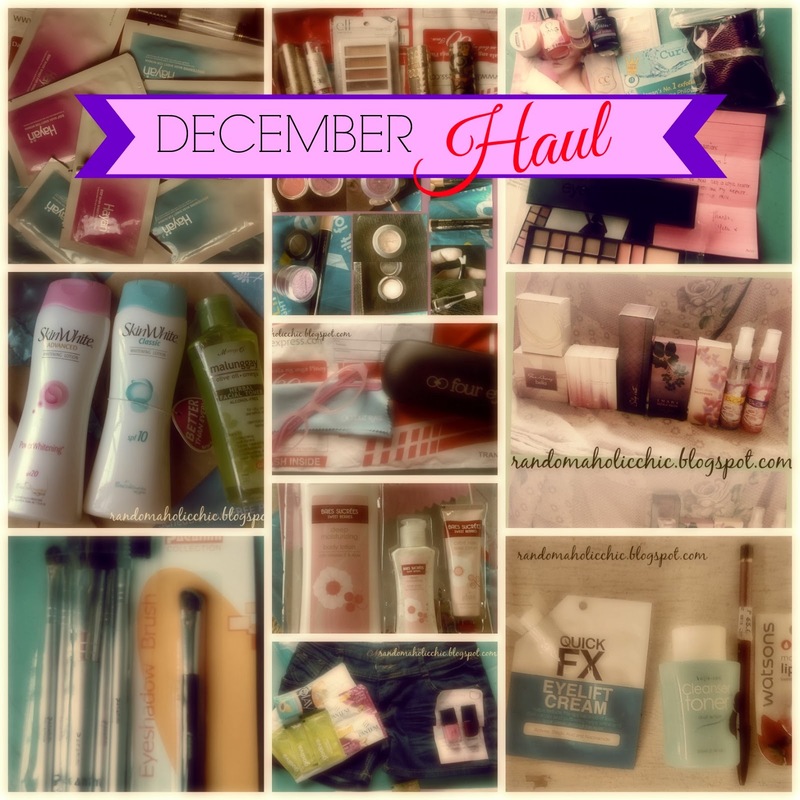 Anyways, as I bid a farewell to 2013, here are all the stuff I got for the month of December. 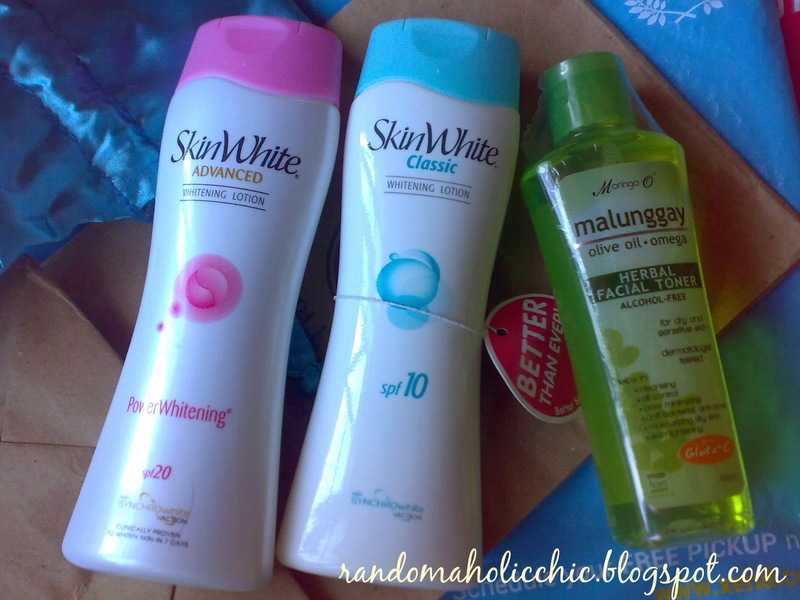 My First Ever Sample Room Haul: SkinWhite Lotion Spf10, SkinWhite Lotion Spf20, Moringa02 Facial Toner. Read my post HERE. 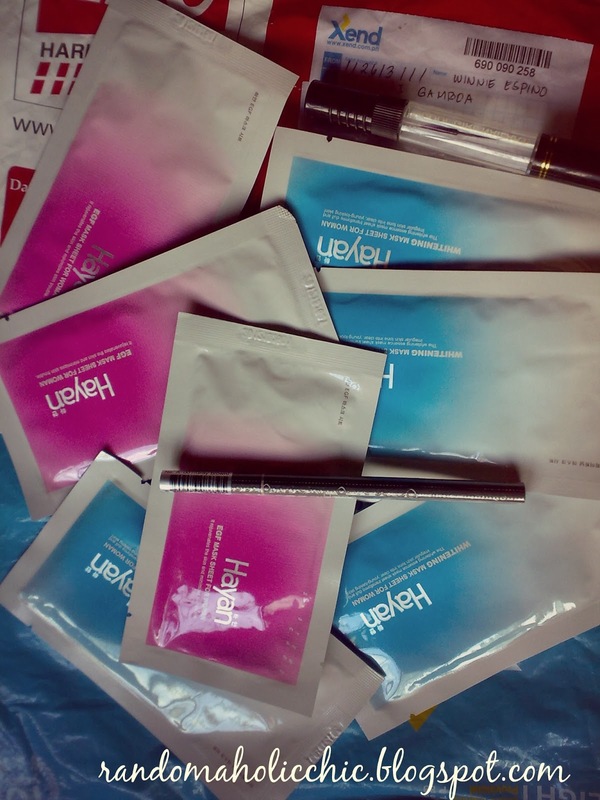 These items I bought from my co-blogger sis Winnie who sells Hayan Korea products. 3 Hayan Korea Mask Whitening Mask Sheets, 3 Hayan Korea Mask Anti-wrinkle, Hayan Korea Retractable Eyebrow Pencil and sis Winnie gave me a Refillable Nail Art Pen as a freebie! Thanks so much sis Winnie! Click HERE to take you to her FB Fan Page you can buy any Hayan Korea products from her. Watson’s Sweet Berries Collection: 400ml Sweet Berries Body Lotion, 60ml Sweet Berries Body Scrub, 30ml Sweet Berries Hand Cream. This skin care set I received from sis Hazel. Visit her blog HERE. Thanks so much sis. 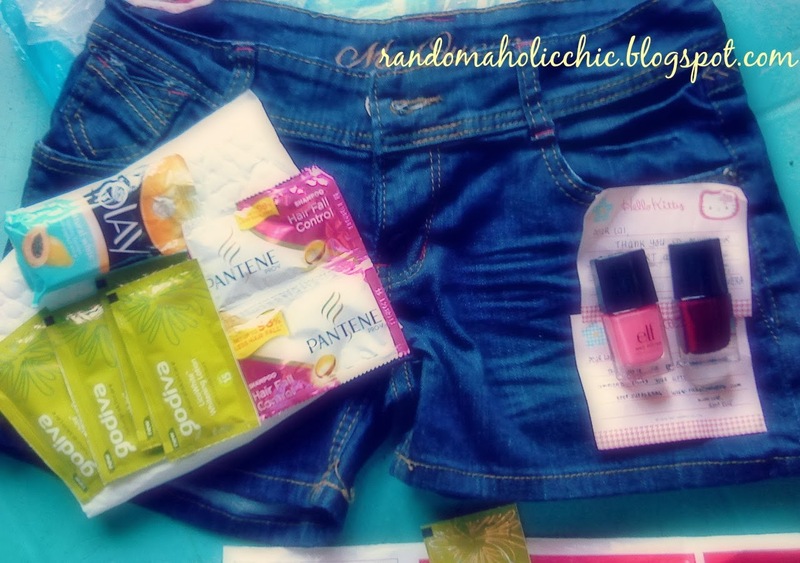 This are the items that I got from Yette, One of my most favorite blogger. What I like about her, you can tell how much she appreciate her readers. All her product reviews are very straight forward and informative. Thanks so much sis. Visit her blog HERE. This pair of denim shorts and two ELF nail polishes I bought last November from Ms. Rochelle on her blog sale which the proceeds were donated to the victims of the Super Haiyan typhoon. While the other items you see are gifts she sent me. Thanks so much Ms.Rochelle, you are such a wonderful person! 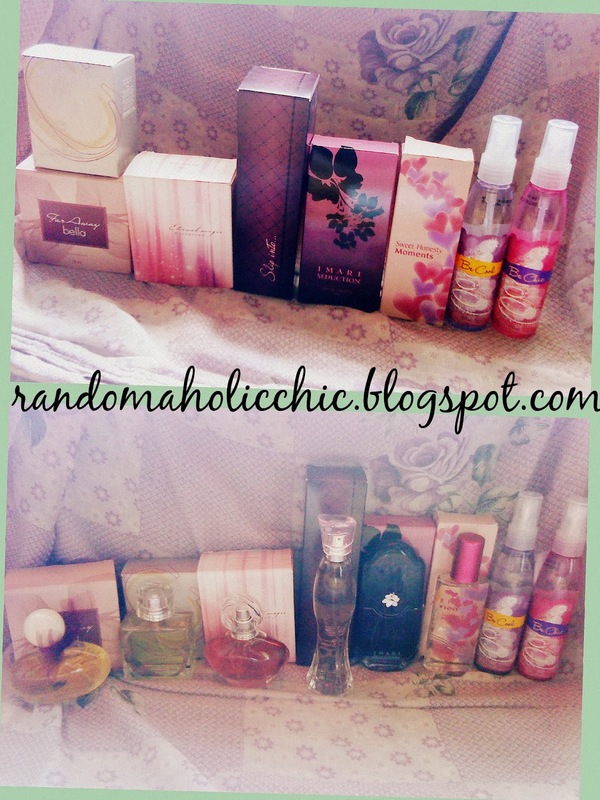 Visit her blog HERE and join her ongoing giveaways! This is the very very first time I have seen this brand Paganini. Saw this when I was shopping for gifts and I bought a 5-piece set of brush which includes an angled brush, a blush brush, a sponge brush, an eyeshadow smudger and brow and lash comb. 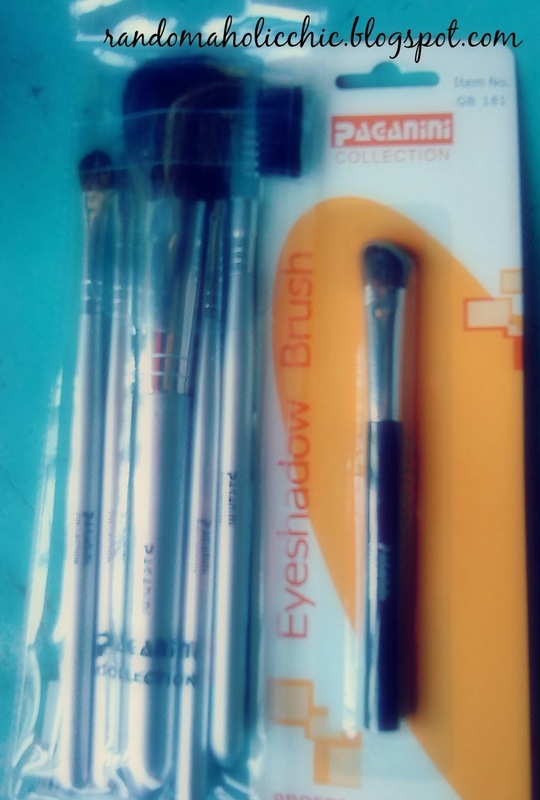 I also saw the small blending brush, such a steal for less than Php60.00. While the brush set tagged Php105.00. My latest Watson’s haul! I ran out of Celeteque facial wash so I bought another one. The Quick FX Eyelift cream was out of my plan and I just got curious if it is effective on me or not. And, watch out, I will make a review on that. The Kojie San Facial Cleanser and Toner, read my review HERE. First time teat I bought an Ever Bilena eyebrow liner. And that lipbalm from Watson’s line, I haven’t opened it yet and that is the first time I tried to buy one. I bought the ELF Quad palette for my mom and she really really love it together with the four Zalan lippies from my blogger friend Lhyzie. I bought the three and she included one free lipstick. Thanks so much sis! She sells beauty products as well, you can check out the products she sell by clicking HERE. 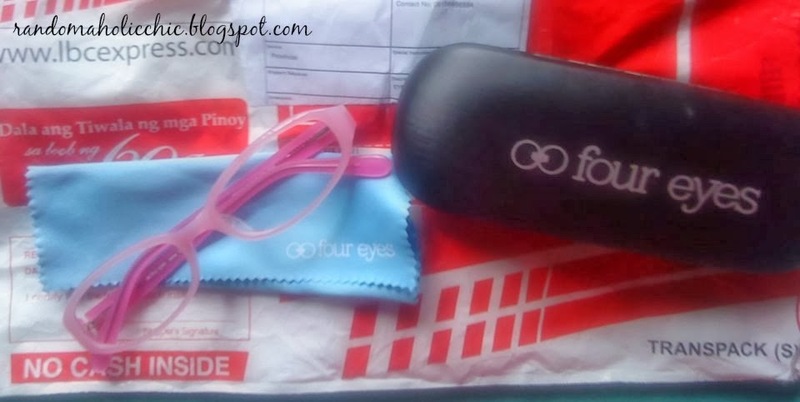 I realized how lucky the month of December for me when I got this pair of eyeglasses from Four Eyes. Read my post HERE. My first ever MAC products!!! Well, I am really not sure though. Since I was not brand conscious,. or should I say I dont really care about the brand names of certain makeups I wore before as long as I liked it. Anyways, thanks so much Ms. Nikki Tiu for this awesome MAC makeups! 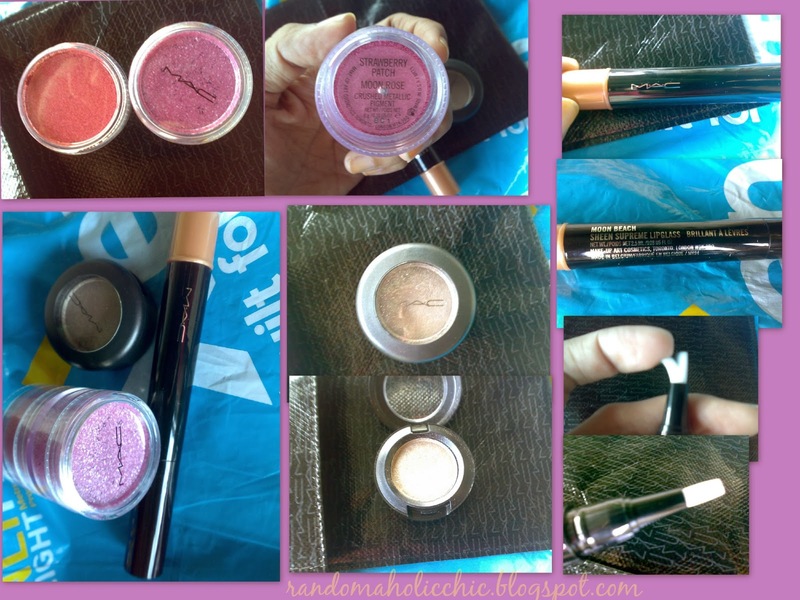 I received it in a black MAC envelope which includes MAC Sheen Supreme Lip glass in Moon Beach, MAC Mineralism Eyeshadow , MAC Crushed Metallic Pigments in Strawberry Patch and MAC Crushed Metallic Pigments in Moon Rose. Visit her blog HERE. As we always say, share your BLESSINGS! 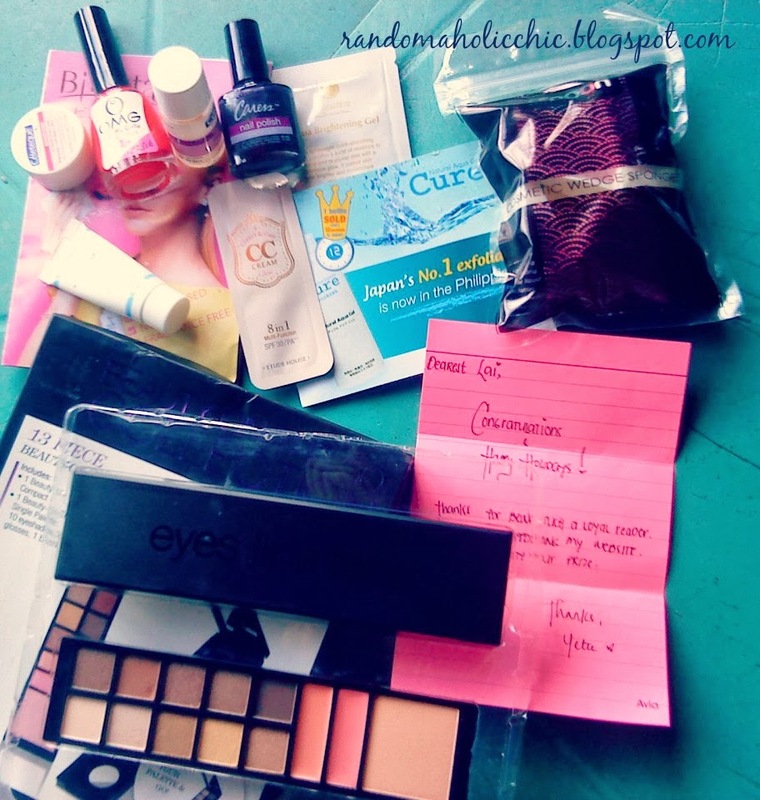 So, watch out for my first 2014 giveaway. That’s it for my December Haul. You can also comment down which product you want me to review. 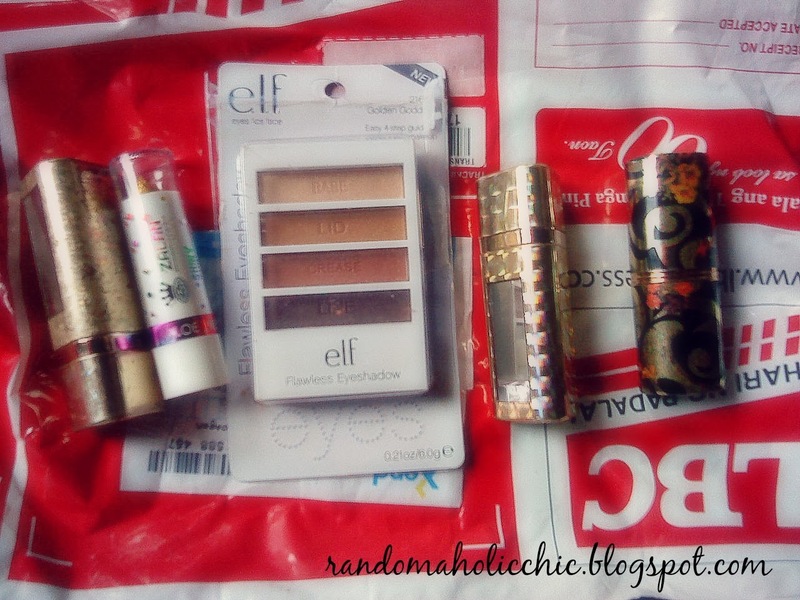 Quick Post: Two Packages for Me! Haul! 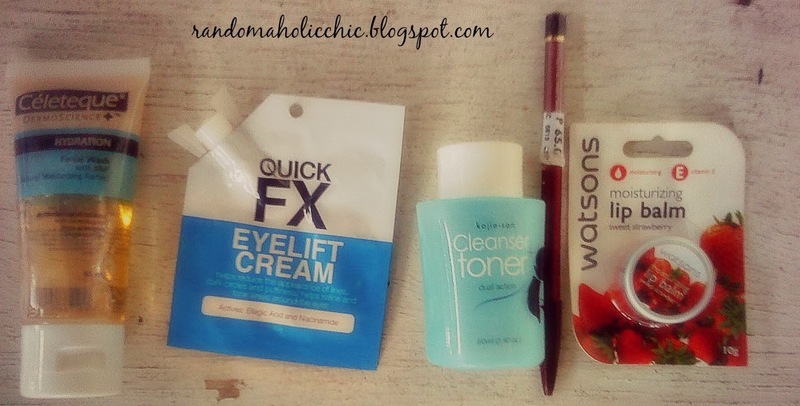 New Products to Try! must try that quickfx brand. saytioco from youtube raves about a product from them that she uses as a primer.